The last time I checked out Vision Ears product range I went right for the big kahuna, the VE6XC in late 2014. This was and still is their flagship with the x1 and X2 versions combined into a switch operated CIEM that I awarded the best score yet for a custom monitor. That 9.4 still stands tall today with only the 64Audio ADEL A12 matching it last month. You would assume then that a review of the VE5, which is not a flagship but released after the VE6XC, would be something of a step down on paper. Yes its cheaper at €1399, by quite some distance, and yes it is 5 drivers in a BA design and not 6 as in the VE6XC. No it does not have any switches. What it does have is something rather unique that have yet to acquire in my stable of CIEMs. If you have a few CIEMs already you may well understand what I mean when I say that the concept of a vocal orientated CIEM is often overlooked in today’s market. It is either the BA numbers game, the design, the soundstage or the bass and in some cases the treble extension but nothing as yet that specifically caters to vocal lovers. I am a vocal lover, this is another exciting week I can tell you. It stands to reason that a product line that contains a numbering sequence that went one, two, three, four, six in 2014 would possibly look to release one more product with five in the name before thinking of perhaps a seven (Lord knows maybe they are right now). That number five is practically begging to be filled in with a CIEM worthy of the VE moniker. 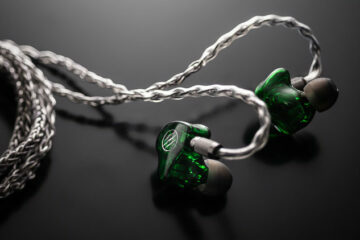 Naturally five means a five driver and that is exactly what the VE5 is, a five BA driver CIEM. 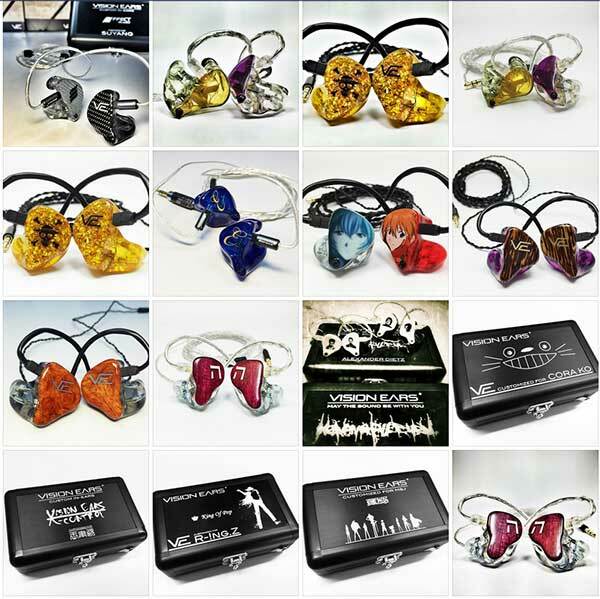 Our vision was and still is to build high class custom In-Ears in terms of fitting, sound and visual design. Some companies are trying to build good quality for a certain price range, but for us quality is the highest duty. 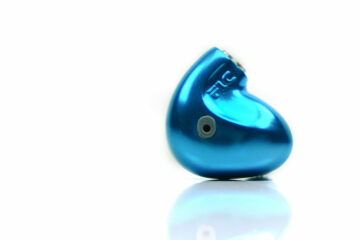 We are heading out to be the brand with one of the highest quality In-Ears in the world and being the most innovative. The custom In-Ears we have now, are very well developed and now that we released our new flagship VE6 XControl, we gave a hint of how much innovative power we have. So what makes the VE5 stand out from the crowd on paper? Well from the technical specifications there is nothing wholly unusual about the VE5 compared to the rest of the competitors. Five driver designs are all over the place. The sensitivity rating is good though 21ohms and 122db so in theory just about any DAP or even a smartphone should be able to run the VE5 with relative ease gain wise. The secret sauce according to VE though is in the tuning of the VE5. It is one of the relative few CIEMs that has a particular tuning to emphasize and present vocal presence as the predominant characteristic within its sonic signature. It got me thinking a little because when I think about at the ten or eleven CIEMs I have reviewed recently I cannot think of a single one that targets vocals outside of maybe the AAW W300R but even then tonally its miles away from the pitch of the VE5. The vast majority that I have reviewed have been exceling on the virtues of soundstage such as the VE6XC, a solid midrange such as the Harmony 8, or even an excellent vocal range but pushing downwards to the bass and not up into the treble performance. This is a upper mid to high end tuned CIEM and as such you could argue that this is a custom monitor not just for vocal lovers but for those who want a predominant top end. We have been here before with Vision Ears when we ordered the VE6XC and truth be told not a whole lot has changed in how orders are processed and delivered to their customers including me. Vision Ears website could do with a very slight overhaul (note *) for me right now, its look a bit dated though the product line is easy to navigate through. As always I shoot straight to Vision Ears customer gallery. * Edit as of 10/18/2015 Marcel would like evryoen to know that VE will launch a new webpage end of 2015. 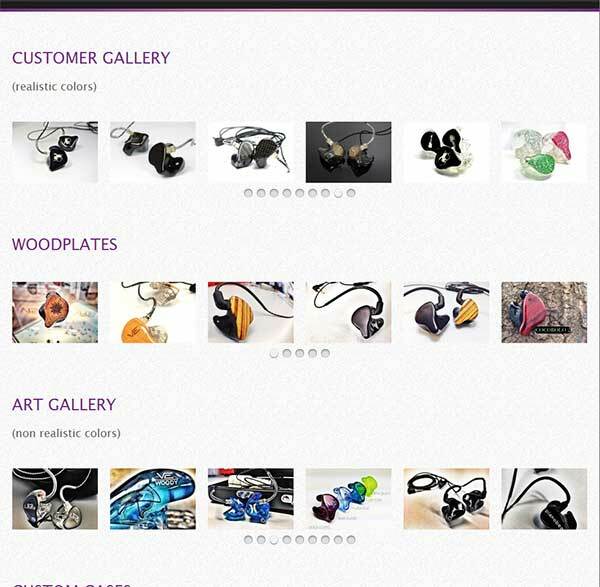 It will also have a IEM designer (configurator) and with this we will also improve the ordering process. Thats awesome news and something I want to try out next time round. Bereft of a single design bone in my body I do like a little inspiration, but after looking around I fed back to the team at Vision Ears and said hey guys what is new? What do you want to show to your customers that is funky and cool in your eyes? Co-Founder Amin Karimpour fed back to me and told me they had some new color mixes going on right now and wanted me to try one in “red and green”. Now even I felt red and green is a very odd mix and some of the pictures going back and forth suggested this is going to be an odd couple. However Amin assured me it looks better in real life so I took his word for it and we shook hands on that. Lately I have been trying to break the mould in terms of design choices, I do seem to gravitate a lot to wood or orange and amber type colors so letting the manufacturer choose is a good way to break out of a habit of a lifetime. For those jumping in first time though you have all the options you could really wish for in the gallery from carbon fibre to wood inserts (cocobolo comes highly recommended) and if you do not see something there to request you can always jump over to their Facebook Page which is always updated with creative customer designs. Aside from that you can also pick some rather neat laser work designs for your shells from your own collection of images as well as engravings on the rather excellent hard case that the unit comes packed in. Personalisation all the way. Just a small note at the time of writing Vision Ears are going to offer a smaller pill type screw lid steel container for their CIEMS as an optional accessory. Something not to dissimilar to the Roxanne and Lear round cases. Visions Ears for me have very high standards for ear impressions. That is a good thing so long as the audiologist you visit has similar standards. My VE6XC impressions was the first time a set of mine ever got rejected and after viewing the pictures I can well understand why. It caused me to entirely rethink how I was sending impressions to CIEM manufacturers. Below in green is how they should look, and in pink is how it should not look before they start work on your designs. My normal advice is never pack in cotton wool. 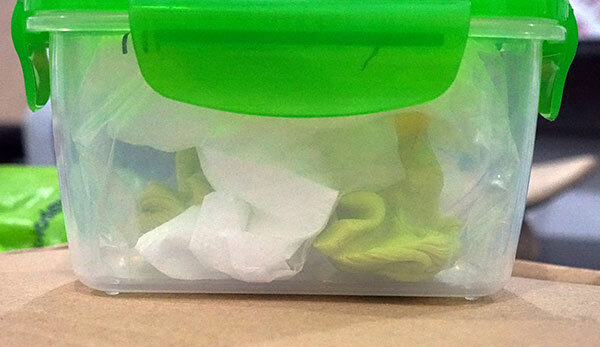 Instead seal the impressions in a hard container padded with a zip lock bag with a little air and some lightly scrunched tissue only. They should have room for a little bit of wiggle during transit but not too much. Too much pressure in the packing can deform the impressions. Nothing worse than getting a CIEM that is too loose or too tight or being rejected due to poor packing. The costs of returning and refitting outside of the EU are rather high. Now I have wheeled out this public broadcasting service on quite a few CIEM reviews to date but if it’s worth saying its worth saying numerous times. Pack those things diligently. 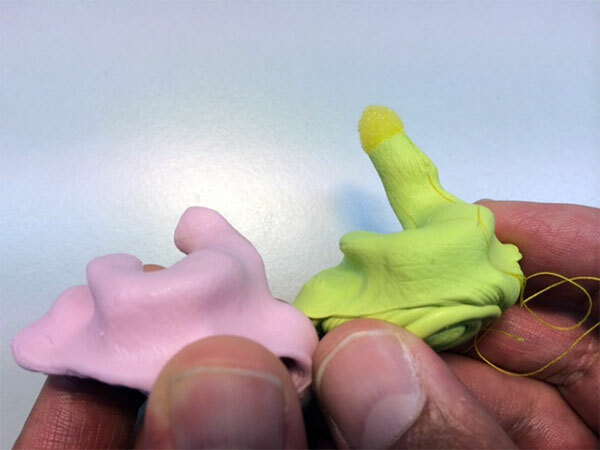 For Vision Ears they do required a closed ear impressions to the second bend in your ear canal and its always advisable to request a “full impression” from your audiologist to avoid incomplete molds being sent that could cause delay. Turnaround time is still a very solid 4-6 weeks from the point of sending the impressions to receiving the final finished unit. At a time when some companies turnaround times are starting to be a focus of negativity Vision Ears are still staying competitive.